The continuing story of Arthur, the second in a trilogy that began with The Winter King. The novels bring Arthur and his world to vivid life. Arthur is a man battling for his vision of the future in a brutal age, dragged down by suspicions and magics of the past, surrounded by intrigue, dependent on his skill at war and genius for leadership. 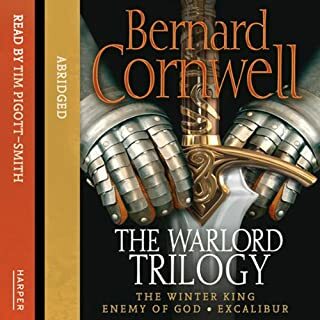 Uhtred‘s loyalty – and his vows – were to Alfred, not to his son, and despite his long years of service to Alfred, he is still not committed to the Saxon cause. His own desire is to reclaim his long lost lands and castle to the north. But the challenge to him, as the king’s warrior, is that he knows that he will either be the means of making Alfred’s dream of a united and Christian England come to pass or be responsible for condemning it to oblivion. 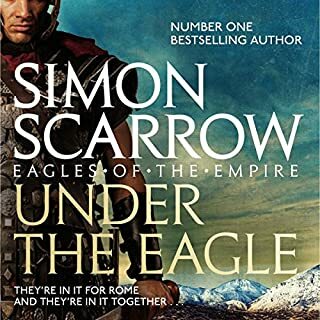 This novel is a dramatic story of the power of tribal commitment and the terrible difficulties of divided loyalties.This is the making of England magnificently brought to life by the master of historical fiction. this is a fantastic book let down by such poor narration. Could not bear to listen to it. 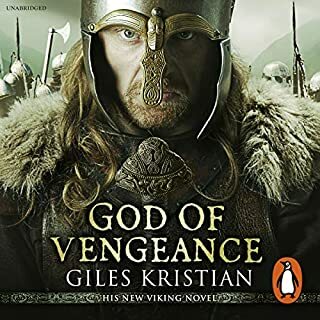 who in their right mind thought it would work to replace a strong Northern Viking voice like Jonathan Keeble with a weak Southern BBC type newsreader voice I feel betrayed I would never have bought it if I knew they were going to swap the narrator on the 5th book. 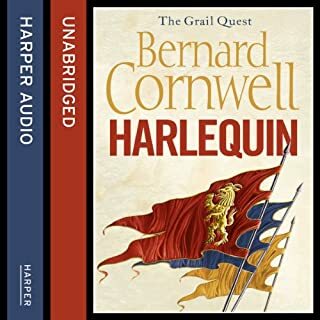 DOn't buy it if you have listened to books 1-4.
really like this series of books, and the narrator for the first few was perfect! the chap who reads this just doesn't fit with the character. also in the first books the place names were all authentic from the era, as with the books, but in this and the previous audio book the place names are all updated. What would have made Death of Kings better? 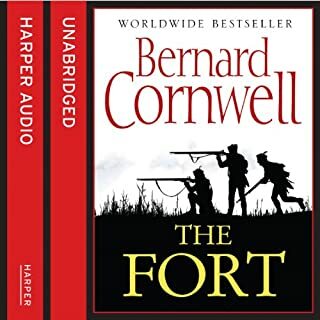 Would you be willing to try another book from Bernard Cornwell? Why or why not? Yes, but I am having a terribletime following thistale because the narrator isso bad. YES!!! He is the main problem. Why did you changefrom such a good narrator halfway through the series? What character would you cut from Death of Kings? Please, this narrator hasspolied two books in thisseries, badly. I see we change to a third narrator for book 7. I really hope he has the same technique and charisma as the first. I am really disappointed but have struggled on because the books themselves andthe story line neccessitate it. Would you consider the audio edition of Death of Kings to be better than the print version? This is better than the printed version of the book in many ways, except for the pronunciation of some of the place names. 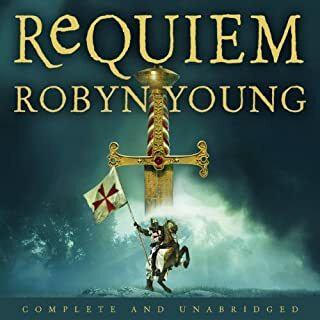 In the previous books in the serious this has been spot on, but this book fails in numerous places, leaving the listener frustrated and repeating them correctly out loud. For example, Beamfleot is being pronounced Benfleet, Lundene as London and most annoyingly Bebbanburg as Bamborough! I am not quite sure why this has been done, perhaps dumbing it down for a wider audience? 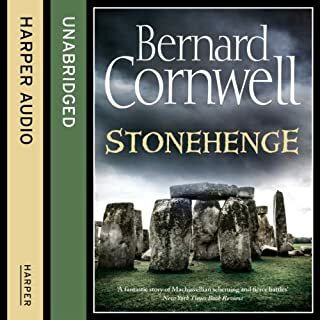 Thoroughly enjoy Bernard Cornwells books and this one is no exception. It gives a real feel for the period. This kind of book, in my opinion, is one of the best ways to fire the imagination and encourage people to learn more about our rich and colourful history. 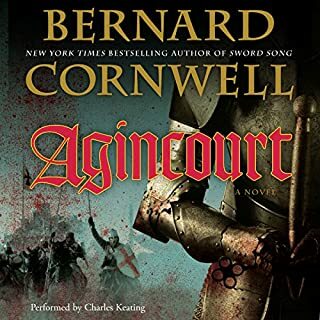 While I enjoyed the story, Bernard Cornwell continues to impress with his writing, the narrator detracted from the tale. I just don't think this was the right type of story for him. Overall I struggled to maintain the plot as I couldn't differentiate between the characters. However like Utred, I will march on! The narrator has done a better job on book 6, I felt he understood the storyline better, of course books 7-10 have a new narrator to get to grips with. It really is shocking on the publishers behalf to chop and change narrators within a series. Two is bad enough..three is beyond a joke. 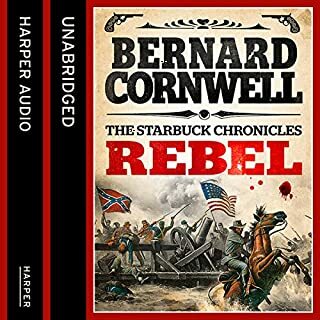 The continuing storyline was an improvement also, at this juncture book 5 has been the weakest offering, but Cornwell seems to have found fresh impetus this time round. The challenge is has Uthred runs his course, can his story last another 4 books? I am not so sure. With the shield walls being a place of death and the number he has been in, how plausible is the storyline, especially since we know the books are based on the memoirs of Uthred himself, narrating his own life as an octogenarian..I think he is if I remember correctly. There are only so many descriptors available for a battle scene and so they can be a tad tedious at times. The church hierarchy continue to be protrayed as scheming, land grabbing, power hungry mortals...which ironically has it's mirror image in the Danes! I wonder if Uthreds success partly lies in his disinterest of power other than in his beloved Bebbenburgh, his joy comes in the battles his sense of reclaiming Bebbenburgh spurs him on...have answered my own question..onto book 7! Poor performance compared to Jonathan Keeble's versions of the books. I've listened to these books a for times and also look for to the narrator changing. I love this series of books- however the new narrator, although decent, is not nearly as good as jonathon keeble. the different pronunciations and insistence on Ising the modern versions of the historical place names grates a fair bit. I'm afraid I didn't enjoy the narrator as much as Jonathan Keeble who did the first few books. The narrator has a similar tone throughout the whole story and it's difficult to differentiate the characters. Bernard Cornwall has a wonderful gift of making history come alive. I was gripped looking up maps and references to find out more about the period. This is what makes good historical fiction - the whole period from big facts to small details comes alive. Stephen Perring is an excellent narrator, contributing to making the story leap from the page. I am now very much more interested in this historical period. If only it wasn't for the narration..
Bernard Cornwell's "Saxon Stories" series if fantastic. I love it. 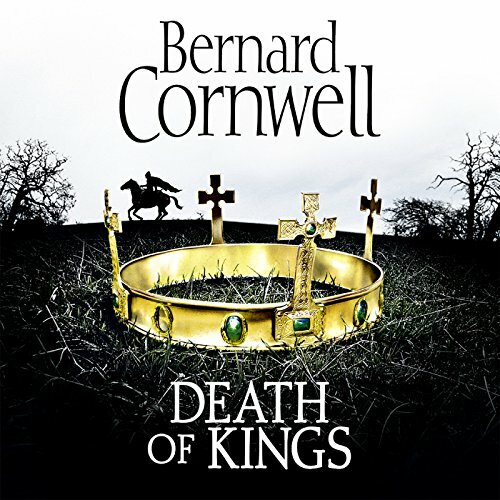 I found this audiobook version of Death of Kings however to be extremely irritating. The reason for this was not for the actual voicing of the narrattion itself, but rather the creative licence the narrator took with character and place names. Bebbanburg became "Bamburgh", Lundane became "London". We all know that these are the modern names for these locations, but the narrators job is to read what the author has put on the page, not to add his own interpretation of what he thinks will suit the story. I especially found myself cringing every time the Perring said the name "Yoo-tred" (Uhtred). 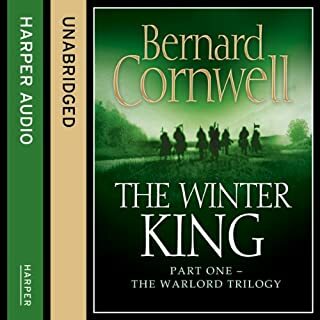 Had it not been for this minor issue I would have awarded Death of Kings with the usual Bernard Cornwell 5 star review, and if you can get past the narration issues the book is as entertaining as always. 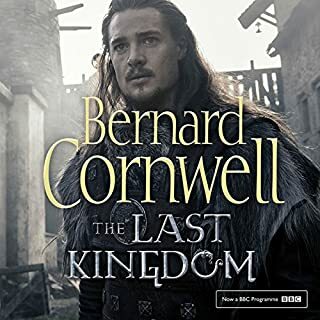 Stephen Perring did a marvellous job with another superb Cornwell classic in the Last Kingdom series. Other reviews were mentioning the lifeless acting of the reader, but I didn't feel it like that. I didn't listen to the other books, though; this is the first one in the series. But the missing historical notes are heartbreaking. I first heard of this series when the BBC show came to Netflix. . the books are amazing and I look forward to the next..
Great story wish they never changed the reader. The book is excellent, as are the previous books in the series, A great story, written in an appealing, exciting, enthralling way. 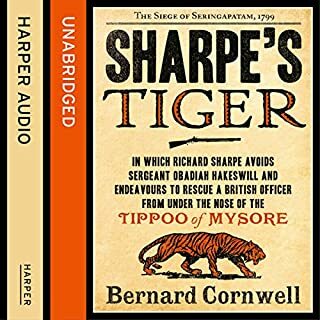 In any case, this is a very recommended listen, as the story is just great.